The first time a left party will be running the government of an EU member state. Lets hope this will work well because it is the only hope that is left for Europe now. So what are the problems that the country will be facing and where are the chances to solve the crisis? Greece is the country that spends the most money on its military (2.8% of its GDP). Cutting that should be easy. Well not entirely: Some of the costs are on paying its army, and in a time of high unemployment it might not be wise to fire them. But certainly the otherwise destructive man-power could be used for a lot of productive purposes. SYRIZA already announced that its in favor of compulsory licensing for pharmaceutical products, thus it should be easy to cut the spending for health. Taxing the wealthy: Well this is of course not as easy because they will try to evade the taxes by moving their money to tax havens. With a bit of creativity a lot can be done. We live in a world today where thanks to the technological progress our productivity is so high that it should be easy to provide everyone with the basic necessities of life. The main problem for Greece now is the hostile environment in Europe: Of course the Conservative Majority in the EU with their neo-liberal agenda have a huge interest in a failure of the Greek experiment. More then anything else they are afraid that a success of the Greek way will serve as an example for Spain, Italy and ultimately for many other countries in the EU and that would hurt their power and would hurt the bottom line of the banks and corporations that they represent. So they will be fiercely opposed to any measure that would help Greece. With the social-democrats the situation is a bit more difficult: On the one hand they have even more to loose: After all it is mainly their base that might turn to a real left alternative, so they will also be opposed to helping Greece. On the other hand: They can not do it as openly as the conservatives. The fate of the PASOK will serve them as a warning: So they will want to re-adjust their rhetoric and will start to condemn austerity. (Well this is already happening). So they have to walk the fine line of publicly be on the side of Greece while in the back-room making sure the experiment is not too successfully. At least the base of S&D parties will be on side of SYRIZA and this will transform the S&D. So while the propaganda of the mainstream media tells us that we all have to pay for Greece, the opposite is true: The victory of the left in Greece will immediately bring us more social benefits, thanks to the change in course that it has already inspired in European politics. In the end this is even true for the conservatives: Even they have an interest in giving in to social demands in order to not loose power to the left. So while the Greek victory will be immediately beneficial for us the situation for Greece is not that easy. The only hope is that even the some conservatives should understand that in case of a failure of the Greek course the danger of neo-nazis fascist parties is just around the corner. (Where, on the other hand, historically the conservative always went in the direction of fascism in times of crises). We have to counter the neo-liberal propaganda of the mainstream media. 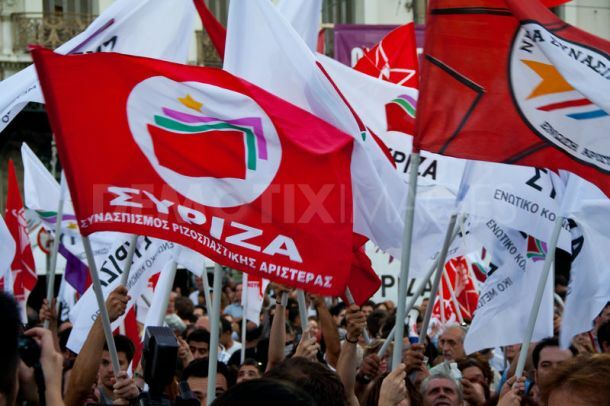 Support left-wing alternative parties in our own countries and pressure the S&D to support Greece. Book a summer vacation in Greece. Not in the EU but still in Europe: Iceland has shown that an anti-austerity economics actually works great.